If you’re getting a home appraisal, there are several things you can do to maximize the final home appraised value. And it’s not that tough. A home appraisal is an independent opinion of your home’s value, performed by a licensed home appraiser. Appraisals are part of the traditional home purchase process, and lenders require them for most refinances, too. Appraisers are trained professionals. 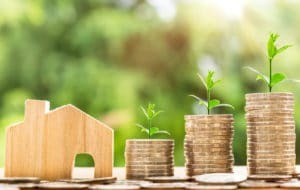 First, they derive a base for your home’s value based on the recent sales prices of homes that are comparable to yours in terms of bedrooms, bathrooms, style, and square footage. Then, accounting for features and amenities that make your home different, the appraiser applies “adjustments” to that base value. This methodology is called the “Sales Comparison” approach and the result is your home’s appraised value. It’s the most common appraisal method used by lenders. As a homeowner, you can’t affect the sales prices of your home’s comparable properties, but you can help your appraiser understand how your home stands apart from these homes. This, in turn, can affect your home’s adjustments, resulting in a higher appraised value. Be home for your appraisal so you can answer the appraiser’s question if there are any. Mention any new roofing, flooring, HVAC, plumbing, or windows you’ve installed since purchase. Don’t mention projects or repairs you’re “about to undertake”. Appraisers don’t credit for unfinished projects. Make minor household fixes prior to the appraisal (e.g. ; leaky sink, running toilet, peeling paint). Present a tidy home. This can contribute to a higher “overall condition” adjustment. Lastly, schedule the appraisal for a time that is convenient for your entire household. An appraiser needs to see, measure, and take photos of every room in your home. If a room’s door is closed because of a resting child, for example, the appraiser may need to schedule a second appointment to complete the appraisal, and that can raise your appraisal costs. Do you need a real estate broker? Meet our team!